Removing the prime minister won't help the country, says Chancellor of the Exchequer Philip Hammond. Theresa May will seek Parliament's support for her Brexit plan for the third time. 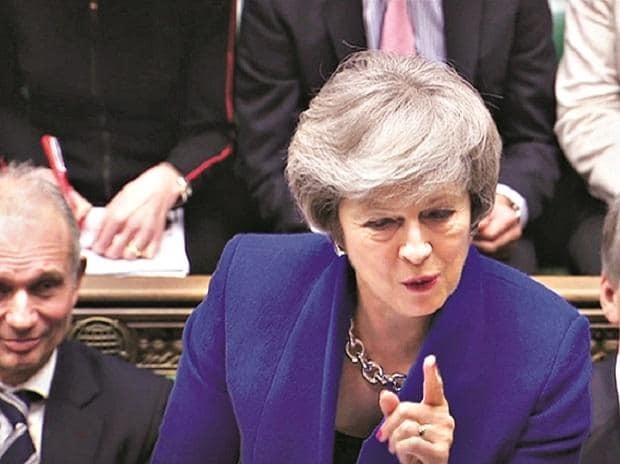 Britain's Chancellor of the Exchequer Philip Hammond and other cabinet colleagues publicly backed Theresa May on Sunday as several newspapers said the prime minister is under increasing pressure to stand down over her handling of Brexit. The chancellor was speaking after the Sunday Times, Sunday Telegraph, Mail on Sunday and the Observer said that cabinet ministers were taking steps to remove May and install an interim leader to complete the Brexit process. Gove, speaking outside his home, later Sunday said he backed May and rejected any plan to change the prime minister. Hammond’s comments could enrage anti-EU members of May’s party, who—along with the prime minister herself —have argued against another vote. The Times reported that key Brexiteers, including Boris Johnson and Jacob Rees-Mogg, have been invited to the prime minister’s Chequers retreat northwest of London on Sunday. Meanwhile, Brexit Secretary Steve Barclay, who told the BBC’s “Andrew Marr Show” that it wasn’t the right time for a leadership contest, said that any majority in indicative votes planned in the coming week will not be binding. If Parliament voted for a softer Brexit, it would collide with the Conservative’s 2017 manifesto and risk a general election, he said.